This sensor has been designed and developed by FrSKY to collect important flight information and performance data which can then be transmitted via the SMART PORT of telemetry-enabled receivers such as X8R, X6R, X4R, etc to a Taranis Transmitter. This particular sensor is used to monitor the voltages of LiPo packs. It incorporates a colourful easy-to-read (even in the dark!) OLED display showing both total voltage and individual cell voltages. Simply plug in your LiPo balance plug to view the voltage readings. 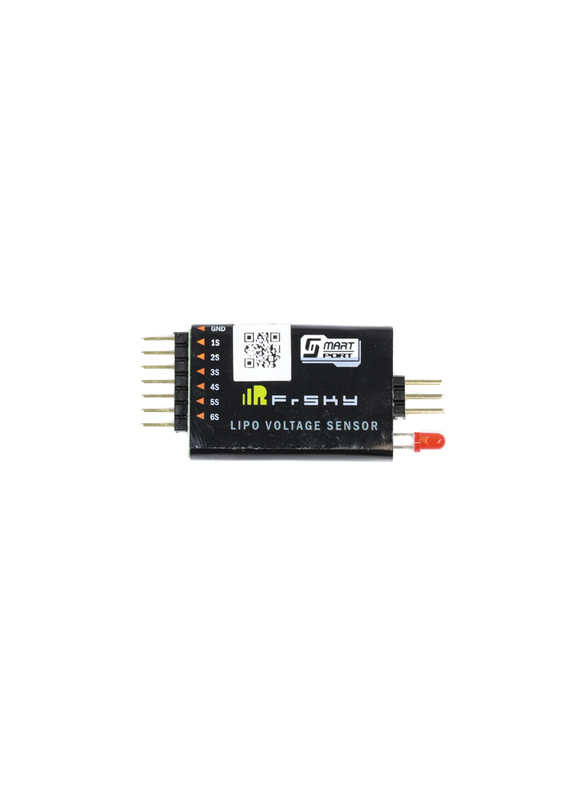 Two FrSKY LiPo Voltage Sensors can be combined to detect up to 12S LiPo packs. 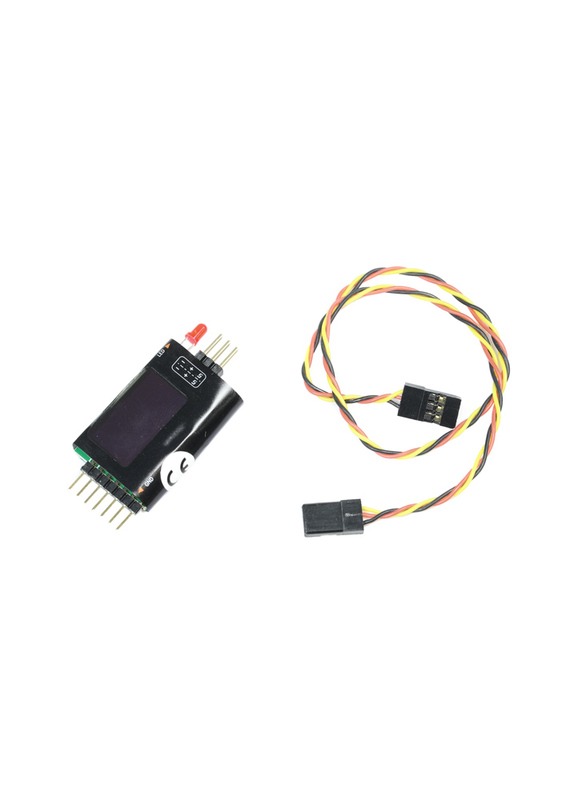 The sensor can also be coupled with our Pixhawk Mavlink Telemetry converter to pass the cell voltage information to the Pixhawk FC – more info about Pixhawk Setup here. This sensor may also be used as a handy, pocketsize, stand-alone LiPo checker.